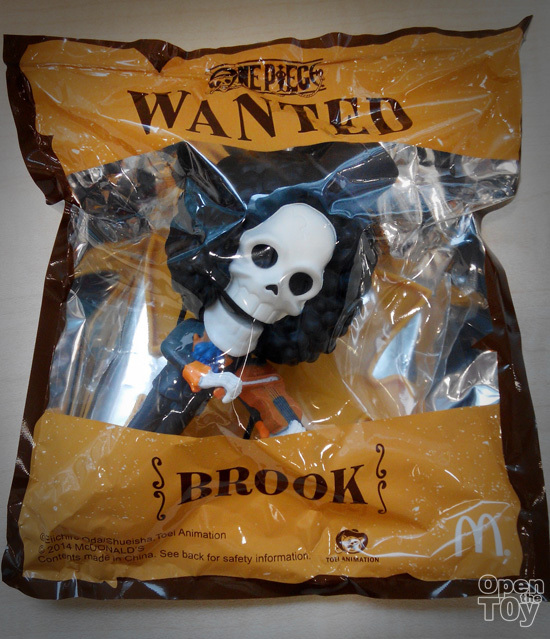 This week, it is finally Brook the oldest living crew of the Straw Hat Pirates to be release in McDonalds. 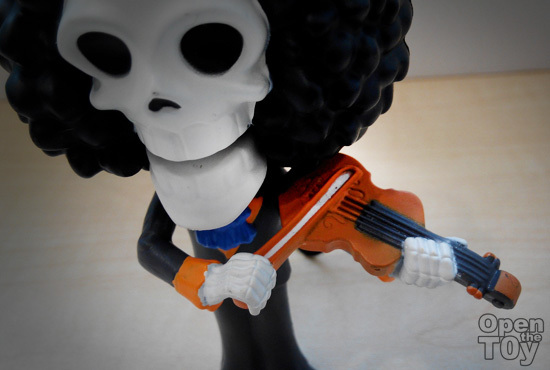 If you must know, Brook appear to be this way because he is more like a undead after eating the Yomi Yomi no Mi. 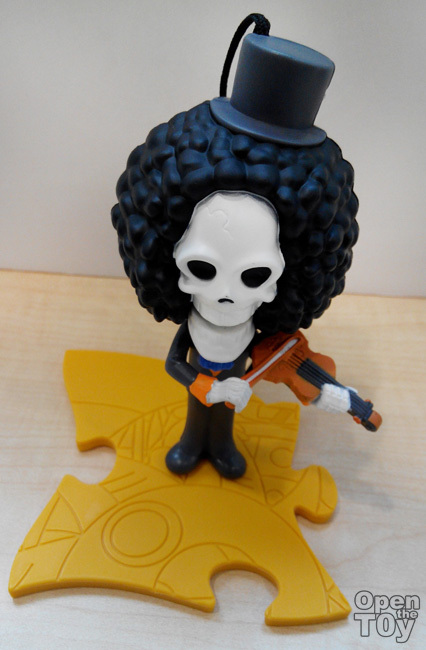 Beside being a swordman, he is also a Musician which explain why this figure he is playing the violin. 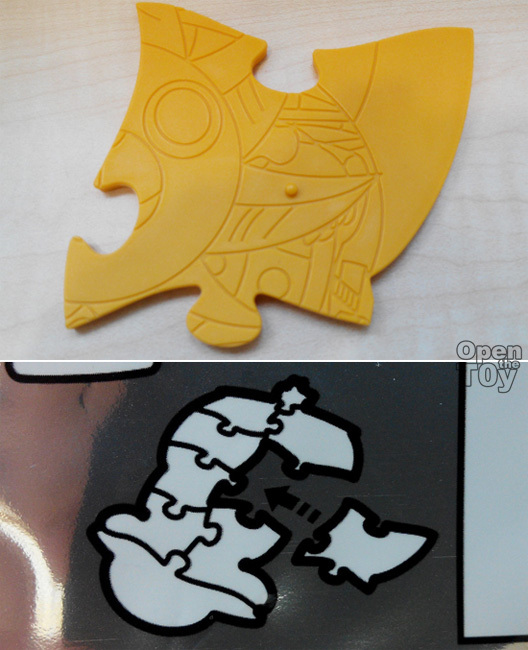 The figure come with a base that form the middle left side of the Thousand sunny ship. The detail of his violin was full of details as you still can see the strings. 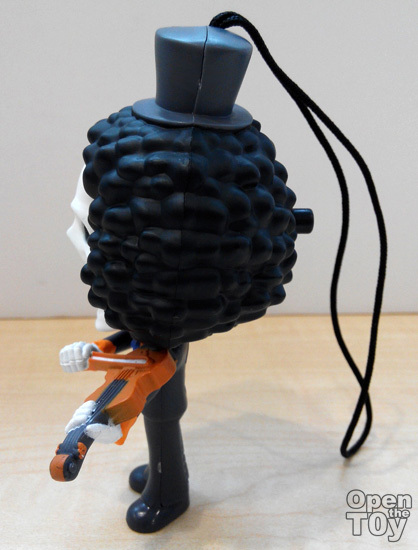 On the side you can see the full Afro hair and a top hat and also an action button. 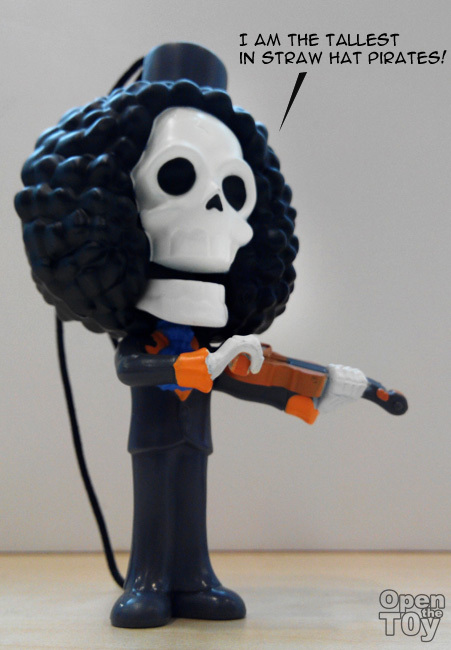 By pressing the button, the jaw of Brook will close as long as you press and hold that button behind. You can simulate him talking if you press and release as you speak. Here how he is standing on the base. This figure did him good justice as a cool but spooky figure of One Piece. 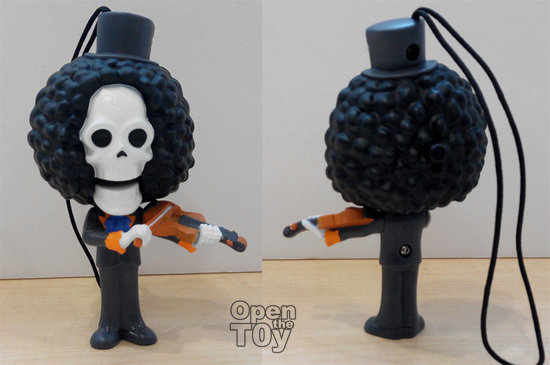 Brook certainly have a good number of fans who love his appearance. 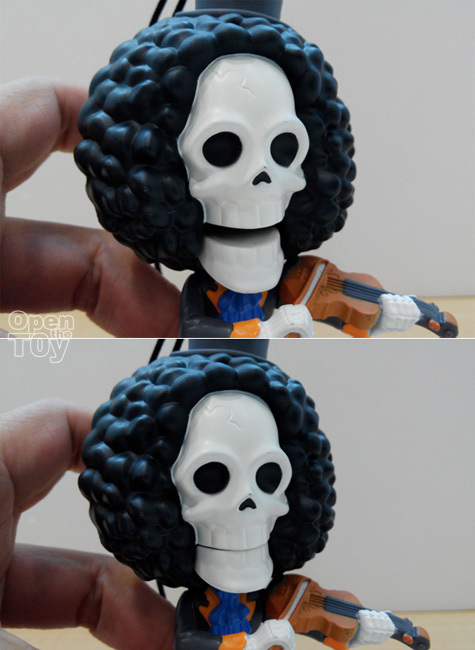 Do you find Brook cool looking too?